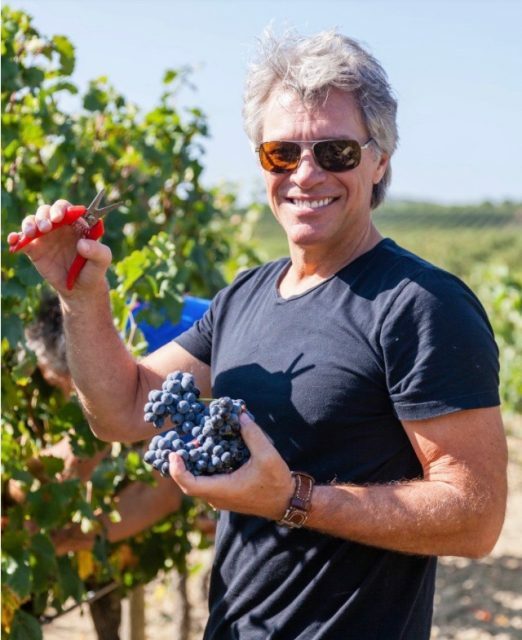 Having only released it this spring, rocker Jon Bon Jovi’s rosé has been voted the top pink in the world in Wine Spectator’s coveted Top 100 ranking. With a 90-point score, Bon Jovi’s Diving into Hampton Water 2017 rosé took the 83rd spot on the list, and was one of only two rosés in the line-up. A blend of Grenache, Cinsault and Mourvèdre, the wine was made in collaboration with his son Jesse and French winemaker Gérard Bertrand. “It was very important for us to get the perfect pale pink colour; we spent a long time getting it right. We use grapes from low yielding vineyards to add complexity. Balance is the most important thing, as I wanted the wine to have a long finish but also to retain its freshness,” he added. Just bought 2 bottles and I cannot wait to try this wine! Where can I buy Hampton Water Rose in the U.S.?